Buy locally in Charlotte | South Charlotte Newcomers! Each year Charlotteans eagerly await the amazing explosion of spring beauty in the Queen City and, more importantly, the reopening of local Farmer’s Market! Farmer’s Markets throughout the Charlotte area are opening their doors, setting up their stands and are ready to offer you local, fresh, delicious and nutritious produce! Robinson Farms in the bustling Ballantyne area offers a small Community Farmer’s Market every Wednesday from 12-6:00pm. Fresh vegetables, honey, flowers and local crafts are available for purchase! You can enjoy the Guest Chefs; usually from the nearby Meat House Butcher and Grocer, and Robinson Farm restaurants, giving cooking demonstrations on most Wednesdays. Kings Drive Farmers Market located in the stunning Myer’s Park neighbourhood, offers a great selection of fresh produce! Convenient to Uptown, on the corner of Kings Drive and Moorehead Street, this is a very popular, small market. Get there early, to purchase fresh meat and shrimp! The Kings Drive Market is open April through October, Tuesday-Friday 7am-7pm and Saturdays 7am-3pm. The Atherton Mill Farmer’s Market offers fresh meats and vegetables as well as wares from local merchants. This market supports only local vendors. Cash is king at Atherton Mill Market, so be sure to stop by the teller machine! Atherton Mills is located in Charlotte’s historic South End, 2104 South Blvd; hours are 3pm-7pm on Tuesdays, 9am-1pm on Wednesdays and 9am-2pm on Saturdays. Atherton Food Hub recently opened an outpost, the Wedgewood Farmers Market. Wedgewood is located in the South Charlotte neighbourhood of Madison Park, on the corner of Wedgewood Drive and Tyvola Road. Wedgewood produce is only from local family farms! Hours are 3pm-7pm on Saturdays. Elizabeth Avenue Farmer’s Market in the adorable Elizabeth neighborhood offers organic produce, seafood and meats! The local honey will be sure to satisfy your (organic) sweet tooth! The market is located at 1515 Elizabeth Avenue, Saturdays 10am-1pm. 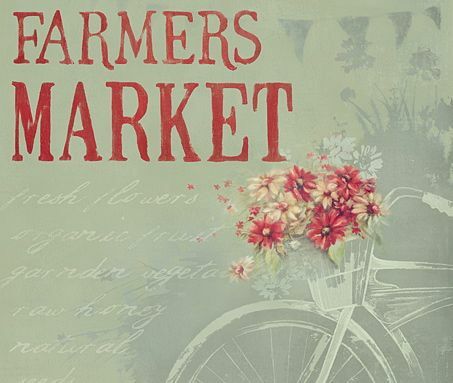 The Charlotte Regional Farmer’s Market operates year-round and is especially wonderful during the spring and summer! Located at 1801 Yorkmont Road, the market is open Tuesday-Saturday 8:00am-6:00 pm. Along with fresh produce, the Regional Farmer’s Market offers plant shrubs and crafts. This Farmer’s Market is owned by the State of North Carolina and operated by the North Carolina Dep’t of Agriculture. Matthews Community Farmers Market is a fabulous market located right in the heart of historic Matthews, 105 N. Trade Street. 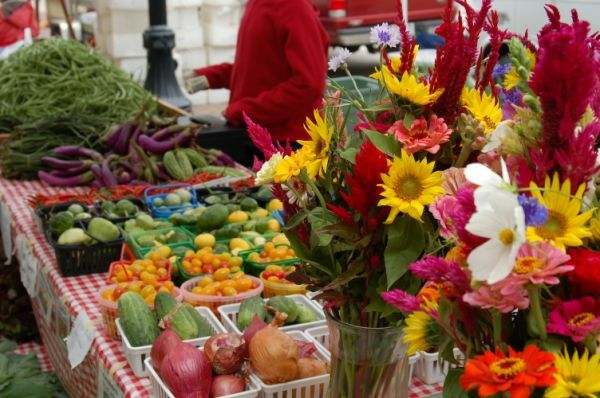 Locally grown foods and specialty items fill the stands in this diverse farmers market. Hours are 7:15am-12:00pm on Saturdays and 10am-12:00pm on Wednesdays. Providence Produce Market, located on the corner of Providence Road and Ballantyne Commons Parkway offers fresh produce Monday-Saturday 9-7, and 10-7 on Sundays. The stand is nestled next to the Shell Station at 10636 Providence Road. Pecan Grove Farmers Market is named in honor of its location on the corner of Providence and Hemby Roads, land that still holds several pecan trees! The market is locally grown fruits and vegetables, mostly from a Matthews-Weddington 30-acre farm which boasts over 1500 tomato plants, squash, cucumbers, zucchini and more! Pretty plants are also grown at the farm, with stunning azaleas and hydrangeas available for purchase at the Market. The Market is open Monday-Friday 12-7, Saturday 10-6, and Sundays 12-5. Reid’s Fresh Farm Stand is located in South Carolina, just a few minutes from Ballantyne, off highway 521. Reid’s boasts local produce (in season), free- range eggs, local cheeses and raw milk. Young Plantation’s pecans and locally made desserts are also available. “Put some South in your mouth!” is the tempting sign outside the Farm Stand! The Queen City is a metropolis supporting its Southern roots and a healthy lifestyle by buying locally! A true taste of the South is calling to be steamed, grilled and baked after being purchased at one of Charlotte’s many local Farmer’s Markets!